Does This Sound Like Fifty Bucks To You? This is a quick review of the Supersport muffler of my Boot. I made a short video to give you an impression as well. As some of you know I bought the car with this muffler already bolted on. 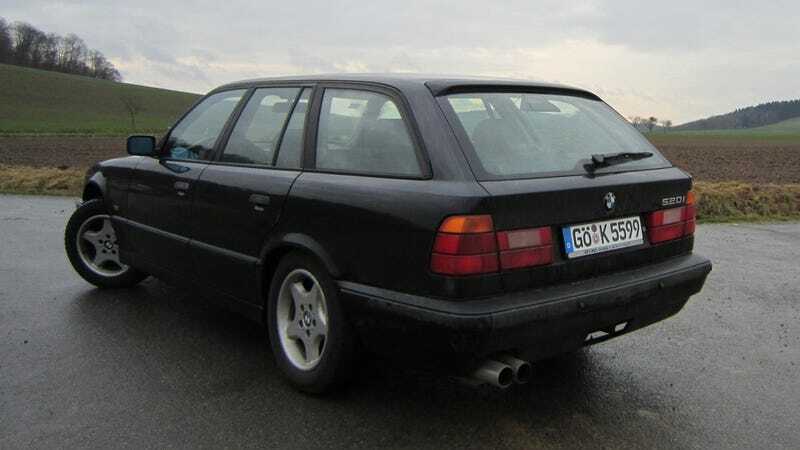 If I had purchased a car with a stock exhaust I most likely wouldn’t have replaced it; and the previous owner did it because the old exhaust was rusted through and the used Supersport only cost him 50€. I wasn’t sure about it when I saw it in the ad and it was a possible dealbreaker for me. Yet it only took a mile of driving the car to ease my worries about the setup. And some 1,900 miles later I’m still fine with it. The most important thing about it is: It’s gladly not obnoxiously loud. While driving through the city for example nobody looks - disgusted? - at me. I like that because I’m an introvert and don’t crave everyone’s attention. Since I’m working at night and get home during the small hours a more “civilised” setup is also beneficial. Who knows what sleep-deprived neighbours might otherwise do to my car or extremities? As you will hear, the Supersport gets louder beyond 3,500rpm of course, but you obviously don’t have to rev the engine that high if you don’t want to. So as you leisurely cruise along only a bit more bass is giving away that the muffler isn’t stock. The drone inside is minimal and together with the soft vibration there’s even kind of a calming quality to the experience. Sleepy passengers did proof this multiple times. The good sound deadening of the E34 definetely helps here too. The burble on the overrun is very welcome. Even while driving slow the exhaust is quietly muttering in a very entertaining way causing me to “talk” with the engine by taking the foot off the throttle more often than actually needed. For me the Supersport’s benefits are outweighing the bearable drone, the questionable look of the big tips and the cheap fartcan stigma. The setup emphasizes that I do care about cars to those who are also interested without being a menace to the rest of the society. Does it sound good though? Hmmm, for fifty bucks it’s okay, don’t you think?